The horror of finding abandoned babies on the streets of London led a retired sea captain to found a historic children’s home. 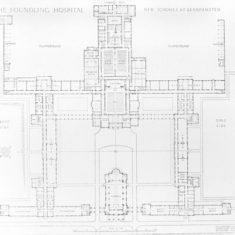 The sight was common in the capital during the early 18th century and spurred Thomas Coram to campaign for a Foundling Hospital. He was successful, and in 1739 George II granted a Royal Charter for the project. 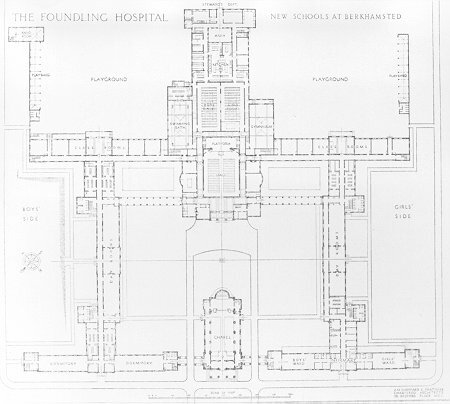 In its first decade, the Foundling Hospital at Lamb’s Conduit Fields had more than 20,000 children during the 18th and 20th centuries whose mothers were unable to care for them. Foster mothers would rear babies until they were five years old, when they would be readmitted to the hospital for an education. 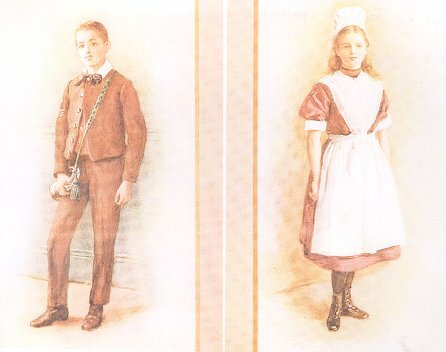 Young ladies were taught domestic crafts, while the boys were apprenticed to trades. It became so popular that many mothers with their babies were turned away. 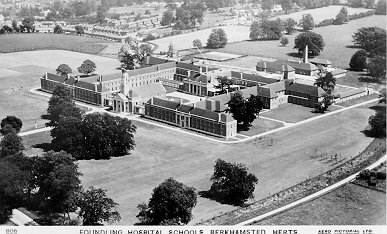 In the summer of 1935 the hospital moved to an impressive new building on the Ashlyns Hall Estate in Berkhamsted, where it continued until 1955. 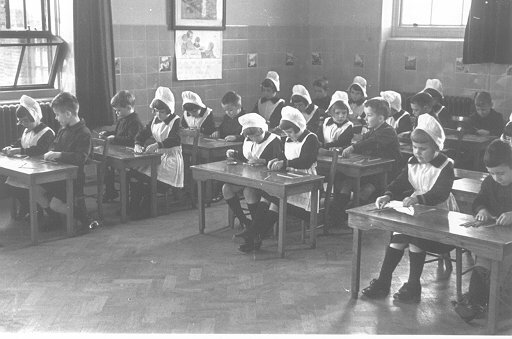 Herts County Council took over the educational responsibilities and the buildings eventually became Ashlyns School. 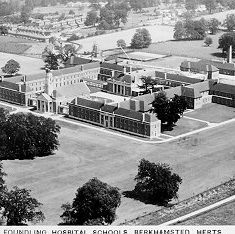 The building, with its girls’ and boys’ wings, extensive playing fields and imposing chapel, would have been quite a talking point in the town. The Foundling Museum, based in the original London site, houses a nationally important art collection as well as an exhibition on Handel, a major benefactor of the children. 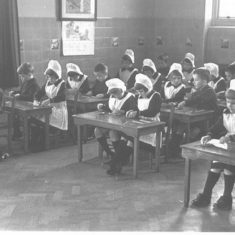 The experiences of former pupils are a key element of the history of the hospital and give important and fascinating context to the collections. 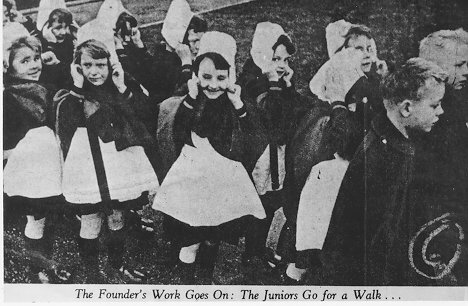 The museum is currently running an oral history project called “Foundling Voices”, which is recording the memories of former pupils of the school. 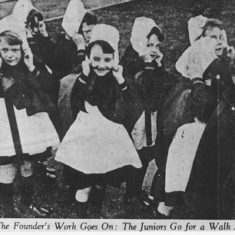 Any Dacorum resident who remembers seeing, or hearing stories about foundlings – maybe marching from the station to their new home, or going for walks around the town in their distinctive uniform are asked to get in touch. 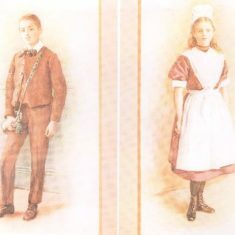 The Heritage Lottery funded project will culminate in an exhibition at the museum(14 April – 30 October 2011), plus a touring exhibition, which will be displayed at Ashlyns School and Berkhamsted Civic Centre. This page was added on 06/04/2011. In the late 1950’s the organ was removed to be restored and returned! Naturally it wasn’t but whilst it was away Basil Cuthbert (music master) decided that open air assemblied should be held so I was asked to record to tunes played by Mr Cuthbert to accompany hymes being sung in the open air. I’ve been nursing those recordings (they are a bit hummy) and hoping to either borrow a reel to reel tape machine or get my Ferrograph going so it can be digitalised and cleaned up. Remember it was my own Grundig TK14 domestic machine I used, as the School Ferrograph was kept in the wings of the stage to provide music for plays and record school radio broadcasts (yes, it was me who did it!) and I was only about 14 at the time.